I’ve recently just been revising all day erryday so haven’t really had time to sit down and cook a proper fancy meal. I don’t know about you, but i love grazing on snacks throughout the day, so it’s totally cool, but sometimes I crave that home cooked meal! This is perfect for those times, because as a student, I don’t want to spend hours standing in the kitchen for one thing to be done. Also, this required one pan (and one saucepan to boil something in… But that doesn’t really count), so minimum washing up! Can I get a woop woop?! This is super hearty and packed with goodness. 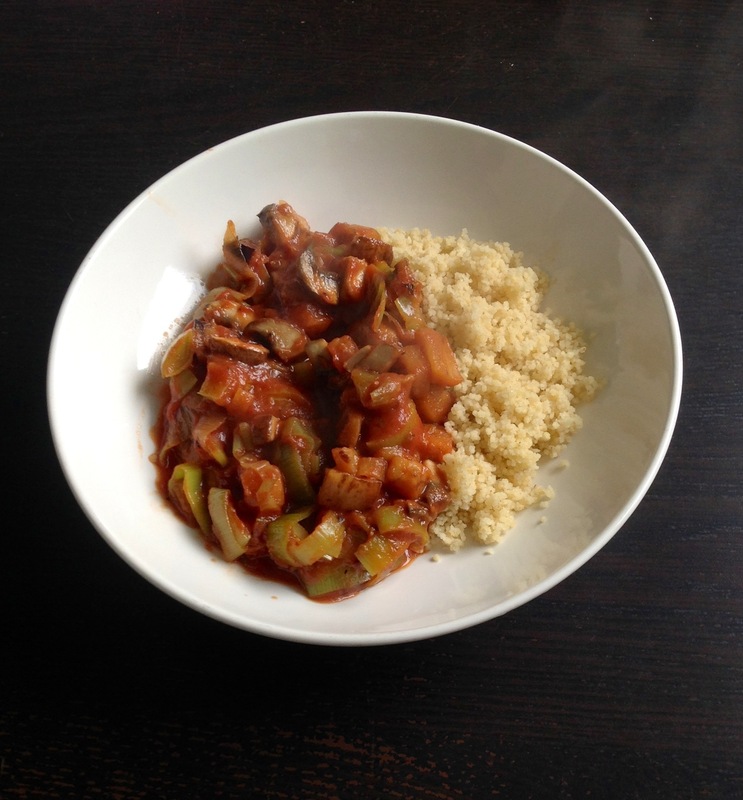 The mushrooms give a real depth and meatiness, but if you really are insistent on adding meat or fish, I would recommend adding something that can stand up to the strong flavours of the sauce. optional: I thought after that carrot would be a really good addition, so I might try that next time too! Boil some water in a pan and put the leeks in. Boil until softened and drain and let them cool on the side. In another pan (or the same!) add the oil and sauté the small cubes of aubergine until soft. Remember to add salt at this point so the flavour of the aubergines come out! When they’re soft, add the diced mushrooms and sauté till soft. Once softened add in the passata and the leek and add any more seasonings, such as oregano and more salt and pepper to taste. 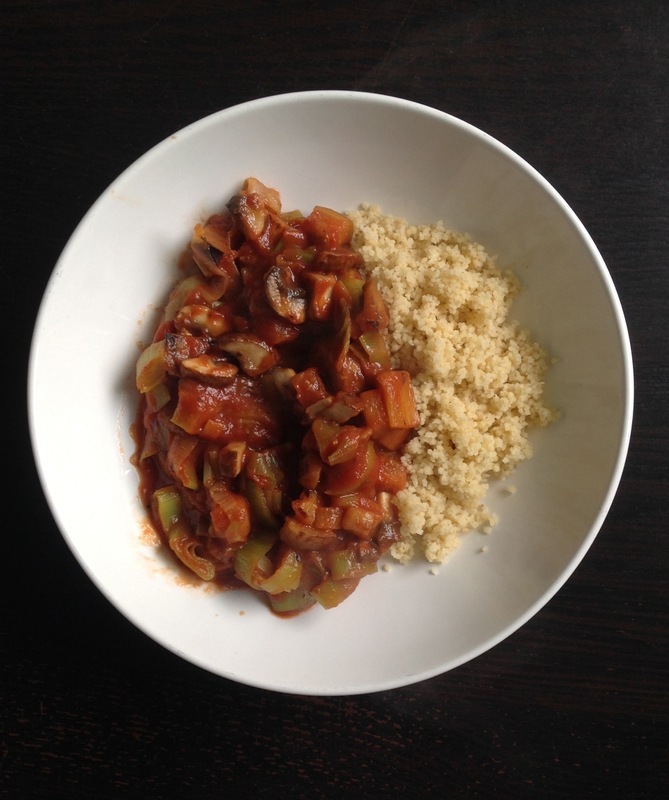 When the stew has boiled down to your desired consistency, serve with couscous! 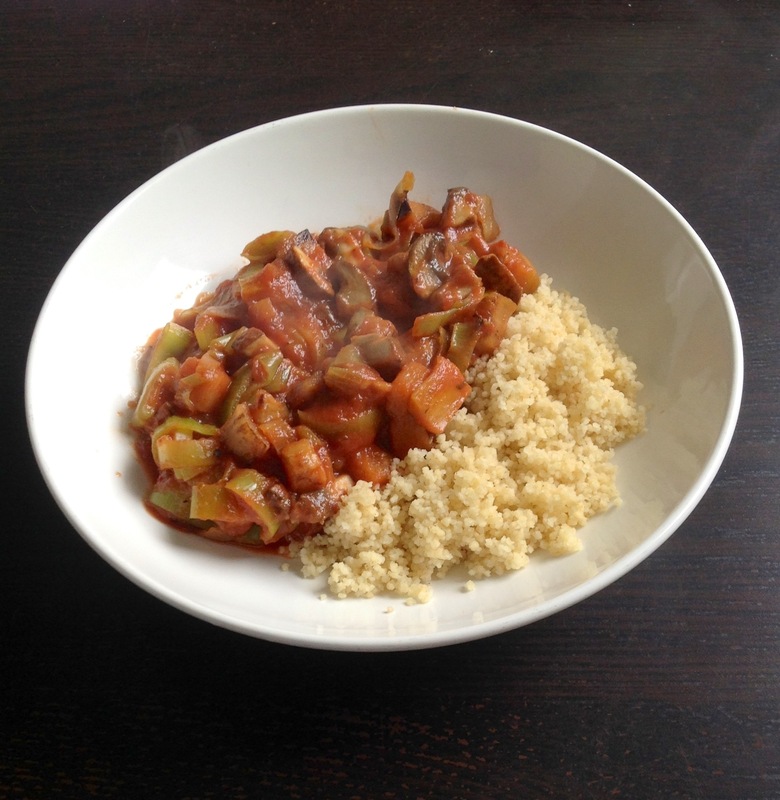 15 minutes until warm, hearty, comforting stew time? I’M IN. Hope you try it out! It’s so delicious and easy to make!